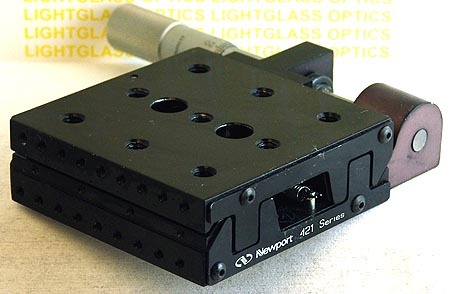 The Newport 421 Ball-Bearing Precision Linear Translation Stage is now called the 423. It utilizes ball-bearings running on precision-ground rods to provide smooth movement. 1" travel. The Newport actuator is included. Made of aluminum for light weight, this low-profile stage is perfect for setups where accuracy is needed at reasonable cost.